Ahead of WWDC 2015 happening in June, we might be seeing some earlier devices getting refreshed, according to a French website. The MacGeneration French site claims that Apple will be refreshing the 15-inch MacBook Pro and the 27-inch iMac this month. Citing unnamed but “well informed” sources, the site reports that the refreshed models flaunting Intel’s Broadwell processors will be released as early as this Wednesday. One highlight of this latest 15-inch MacBook Pro is the Force Touch feature. According to the leak, the MacBook will feature the technology that was introduced earlier this year with the very new MacBook and also in the latest model of 13-inch MacBook Pro (refreshed in March). This feature doesn’t sound very far-fetched as it seems plausible of Apple to integrate it in the 15-inch MacBook Pro’s trackpad too. In the wake of this release, Apple had already started to discontinue the 15-inch MacBook Pro by delaying shipments of many non-standard configurations – including the built-to-order models. Which 27-inch iMac models will be refreshed? The sources haven’t shared other details including the most pressing concern for many that if we will also be seeing a refreshed 5K iMac. 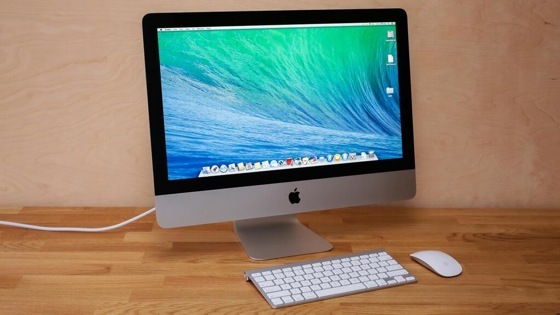 The 27-inch iMac is expected to see a refresh for its non-Retina legacy models, however, nothing can be stated for sure for 5K iMac as neither this rumor nor any other trusted sources shade any light on which variants of the iMac will be refreshed. Last year, Apple focused entirely on the software at the WWDC event. Considering this latest leak, it is possible that the Cupertino tech giant will take a similar approach this year too by releasing the hardware ahead of the event. This will help the company focus completely on iOS 9, OS X 10.11, and Apple Watch. As far as this latest rumor is concerned, do sprinkle it with some proverbial salt even though the site is known for some good hits when it comes to Apple.